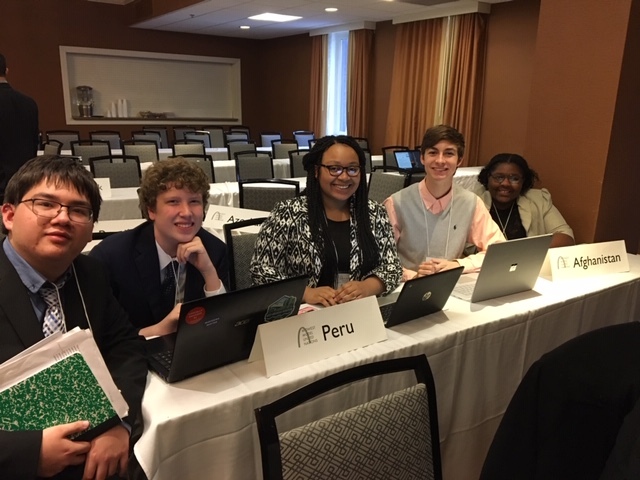 Eleven members of the UCA Model UN student organization, representing the countries of Egypt, Ireland, and Japan, participated in the 57th annual Midwest Model United Nations (MMUN) Conference at the Sheraton Westport Chalet in St. Louis, Missouri on February 22-25, 2017. 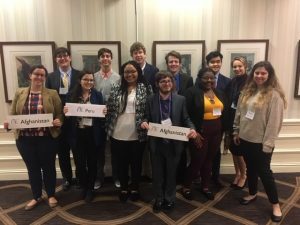 Dr. Mark Elrod, Visiting Assistant Professor, and Mr. Tyler Bittle, Admissions Counselor in the UCA Admissions Office, served as co-advisers for the delegations. 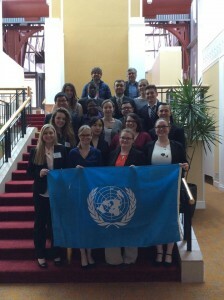 The UCA delegates included Ramatou Souleyboubacar (Egypt, 1st Committee), Spencer Burton (Egypt, 2nd Committee), Michelle Moore (Egypt, 3rd Committee), Danielle Casey (Egypt, 4th Committee), Carolyn Casey (Egypt, UN High Commissioner for Refugees-UNHCR), Jean Francois Adoupo (Egypt, Security Council-North), Alex Battaglia (Japan, Security Council-North), Quade Reed (Ireland, 3rd Committee), Ikina Kanu (Ireland, 4th Committee), Erin Whitfield (Ireland, Economic & Social Council-ECOSOC), and France Galloh (Ireland, World Food Programme-WFP). 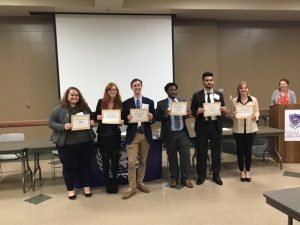 During the Closing Session on February 25th, Alex Battaglia was presented the “Outstanding Delegate” and “Delegates Choice” awards for Security Council-North. 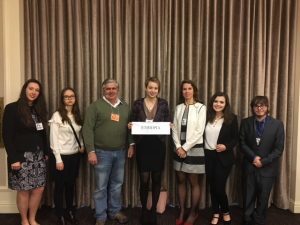 The delegation of Ireland, represented by Erin Whitfield and France Galloh, was presented one of two “Outstanding Delegation” awards for Economic & Social Council (ECOSOC) Plenary Session. 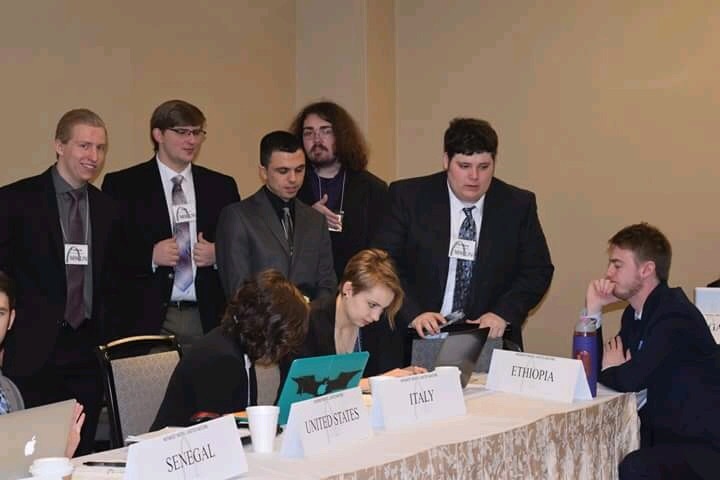 Carolyn Casey, representing Egypt in the UNHCR, was presented the “Best Position Paper-Honorable Mention” award for that committee. 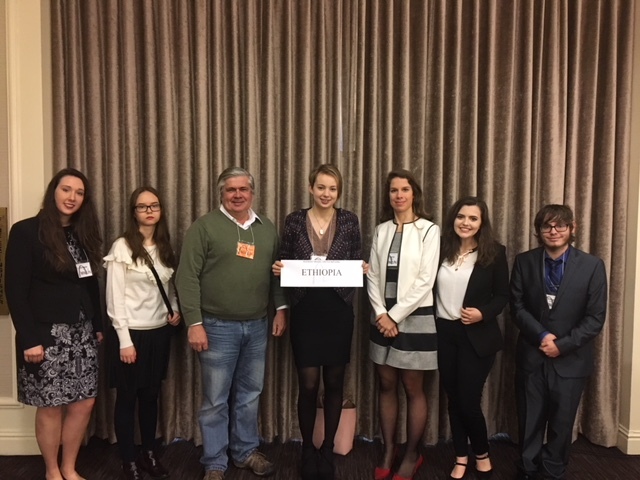 (l to r): Mr. Tyler Bittle (co-adviser), Ramatou Souleyboubacar, Spencer Burton, Michelle Moore, Alex Battaglia, Erin Whitfield, Jean Francois Adoupo, Quade Reed, Danielle Casey, France Galloh, Carolyn Casey, Ikina Kanu, and Dr. Mark Elrod (co-adviser). Eighteen members of the UCA Model UN student organization, representing the countries of Argentina, Austria, Lithuania, and Uganda, participated in the 56th Annual Midwest Model United Nations (MMUN) Conference in St. Louis, Missouri on February 10-13, 2016. 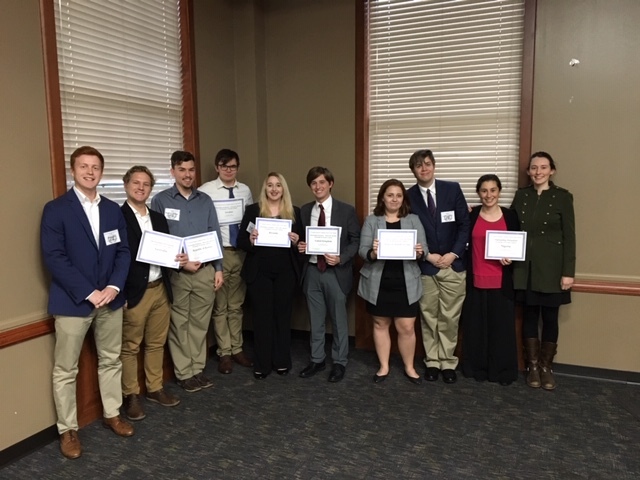 Dr. Mark Elrod, Visiting Assistant Professor, and Mr. Tyler Bittle, Admissions Counselor in the UCA Admissions Office, served as co-advisers. 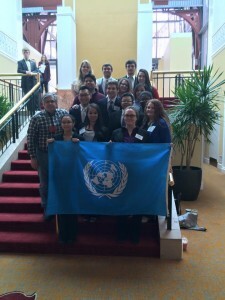 The UCA delegations included Jesus Torres & Austin Clagett (Argentina, 1st Committee), Miras Kudabay (Argentina, 2nd Committee), Mallory Walker (Argentina, 3rd Committee), and Breanna Wilbanks-Head Delegate (Argentina, Indigenous Forum), Hari Rolle (Austria, 1st Committee), Ashley Park (Austria, 2nd Committee), Erin Whitfield & Nick Cartwright (Austria, 3rd Committee), Kayla Close-Head Delegate (Austria, 4th Committee), Katelyn Wilkins (Austria, Economic & Social Council), Ellen McKinnie-Head Delegate (Uganda, 1st Committee), Sidney Freyaldenhoven & Michelle Moore (Uganda, 2nd Committee), Jordan Kemp (Uganda, 3rd Committee), Carolyn Casey (Uganda, 4th Committee), Gyuhwan Park (Uganda, Economic & Social Council), and Alex Battaglia (Lithuania, Security Council). 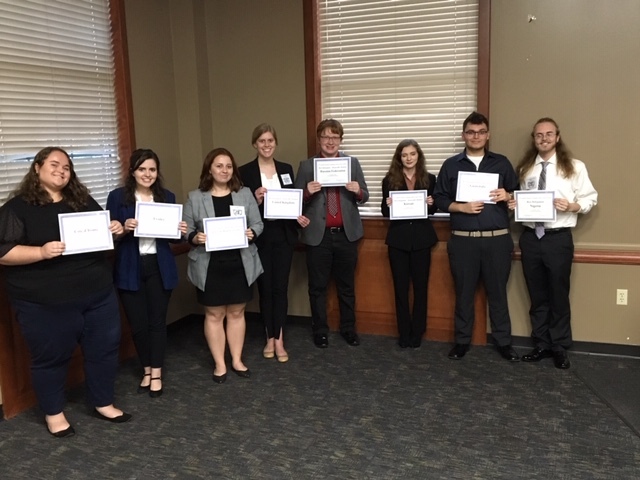 During the Closing Session on February 13th, Breanna Wilbanks and Kayla Close were presented with Outstanding Delegate awards for performance in their respective committees. 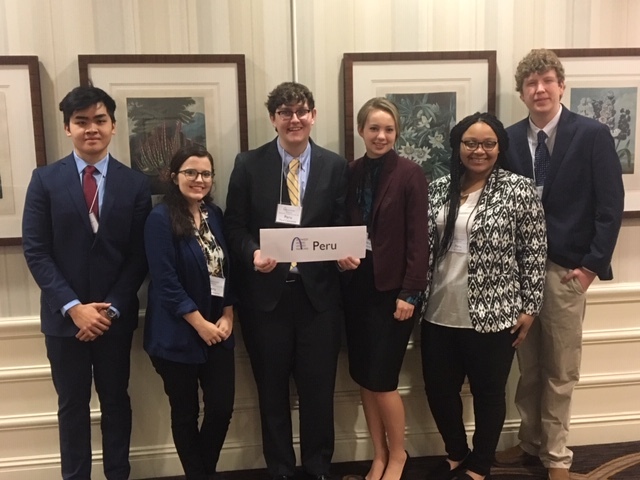 The delegation representing Argentina, headed by Breanna Wilbanks, was presented the Outstanding Delegation award for Economic & Social Council Plenary Session. 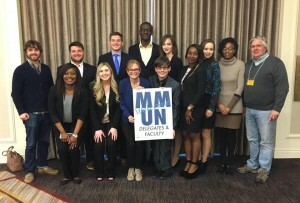 Members of the UCA Delegations to the 2016 MMUN Conference – Front Row (l to r): Michelle Moore, Erin Whitfield, Katelyn Wilkins, and Kayla Close; Second Row (l to r): Sidney Freyaldenhoven, Ashley Park, Jordan Kemp, and Austin Clagett; Third Row (l to r): Gyuhwan Park, Mallory Walker, Carolyn Casey, Jesus Torres, and Alex Battaglia; Four Row (l to r): Ellen McKinnie, Hari Rolle, Nick Cartwright, and Breanna Wilbanks; Back Row (l to r): Dr. Mark Elrod and Mr. Tyler Bittle. Not pictured: Miras Kudabay. 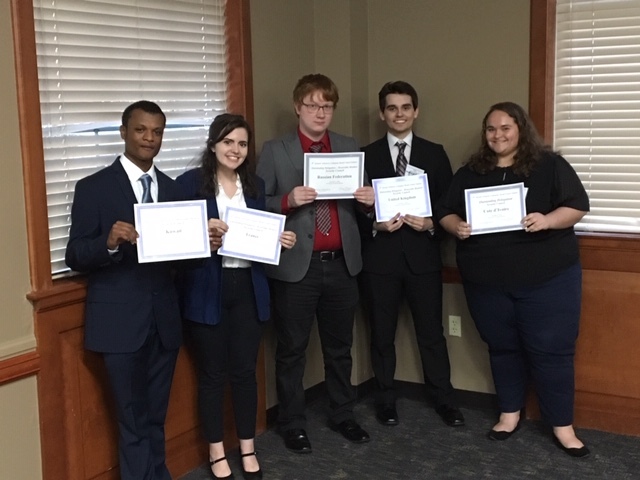 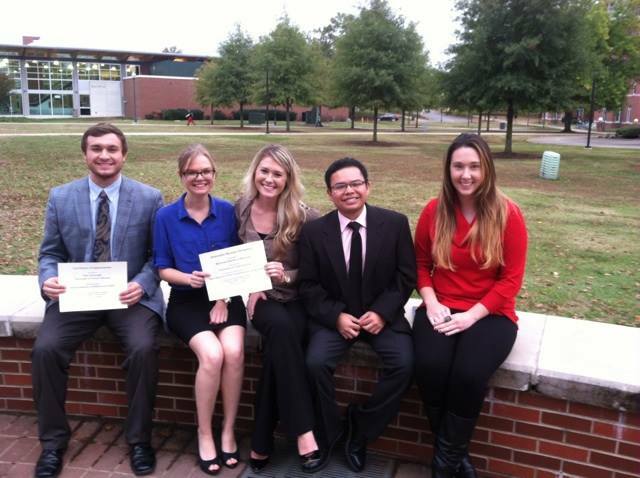 Five UCA students and members of the UCA Model United Nations (MUN) student organization – Nick Cartwright, Jesus Torres, Shaye Davis, Erin Whitfield, and Ellen McKinnie – represented Russia and Venezuela at the 5th annual Arkansas Collegiate Model United Nations (ACMUN) conference at Arkansas Tech University in Russellville on Friday, November 6, 2015. 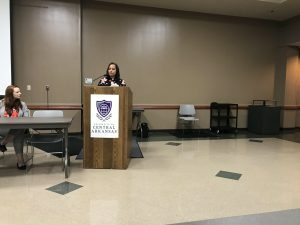 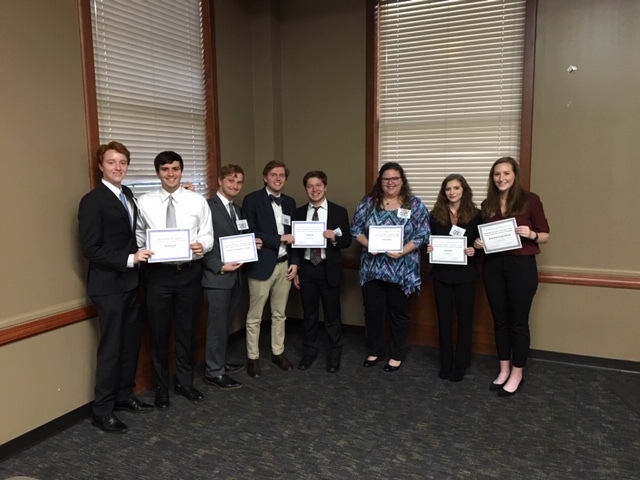 Delegations from several other Arkansas colleges and universities, including Arkansas State University-Jonesboro, Arkansas State University-Beebe, University of Arkansas-Fayetteville, and University of Arkansas-Monticello, also participated in the conference. 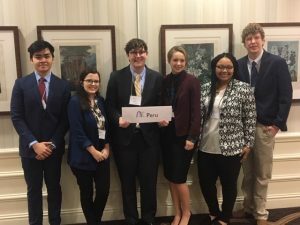 At the end of the conference, Venezuela’s delegates (Jesus Torres, Erin Whitfield, Nick Cartwright, and Shaye Davis) were honored as Outstanding Delegates. Left to right: Nick Cartwright, Erin Whitfield, Shaye Davis, Jesus Torres, and Ellen McKinnie. Sixteen members of the UCA Model UN student organization, representing the countries of Afghanistan, Japan, and El Savador, participated in the 55th Annual Midwest Model United Nations (MMUN) Conference in St. Louis, Missouri on February 18-21, 2015. 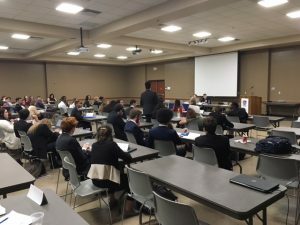 Dr. Mark Elrod , Visiting Assistant Professor, and Dr. Mark Mullenbach, Associate Professor of Political Science, served as co-faculty advisers for the UCA delegations to the conference. The UCA delegates included Kayla Close & Katelyn Wilkins (Afghanistan, 1st Committee), Danielle Casey (Afghanistan, 2nd Committee), Ashley Park (Afghanistan, 3rd Committee), Ellen McKinnie (Afghanistan, 6th Committee), Jordan Kemp & Jesus Torres (Japan, 1st Committee), Helena Burrow (Japan, 3rd Committee), Dustin Ervin (Japan, 6th Committee), Breanna Wilbanks (Japan, Economic & Social Council), Nick Cartwright (Japan, International Fund for Agricultural Development), Mallory Walker (Japan, Peacebuilding Commission), Juan Mayen & Gyuhwan Park (El Salvador, 1st Committee), Alex Battaglia (El Salvador, 2nd Committee), and Leila Julian (El Salvador, 6th Committee). 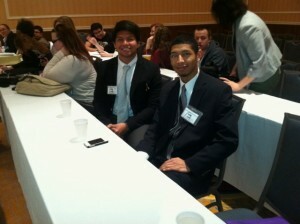 UCA’s head delegates were Kayla Close (Afghanistan), Breanna Wilbanks (Japan), and Juan Mayen (El Salvador). 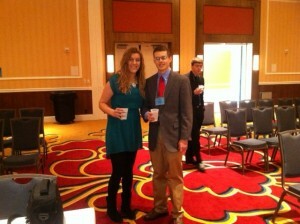 Back Row (left to right): Breanna Wilbanks, Nick Cartwright, and Dustin Ervin. Third Row (left to right): Juan Mayen, Jordan Kemp, and Ellen McKinnie. Second Row (left to right): Dr. Mark Elrod (faculty adviser, Gyuhwan Park, Alex Battaglia, Jesus Torres, and Mallory Walker. Front Row (left to right): Helena Burrow, Leila Julian, Kayla Close, and Katelyn Wilkins. 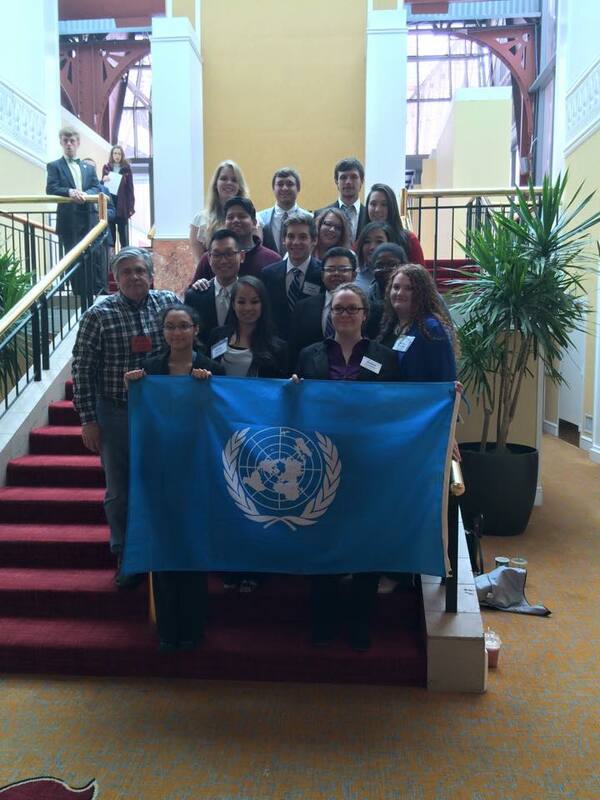 Thirteen members of the UCA Model UN student organization participated in the 54th Annual Midwest Model United Nations (MMUN) Conference in St. Louis, Missouri on February 19-22, 2014. 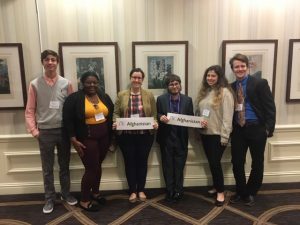 Dr. Mark Mullenbach, Associate Professor of Political Science, served as Faculty Adviser for the UCA delegations to the conference. 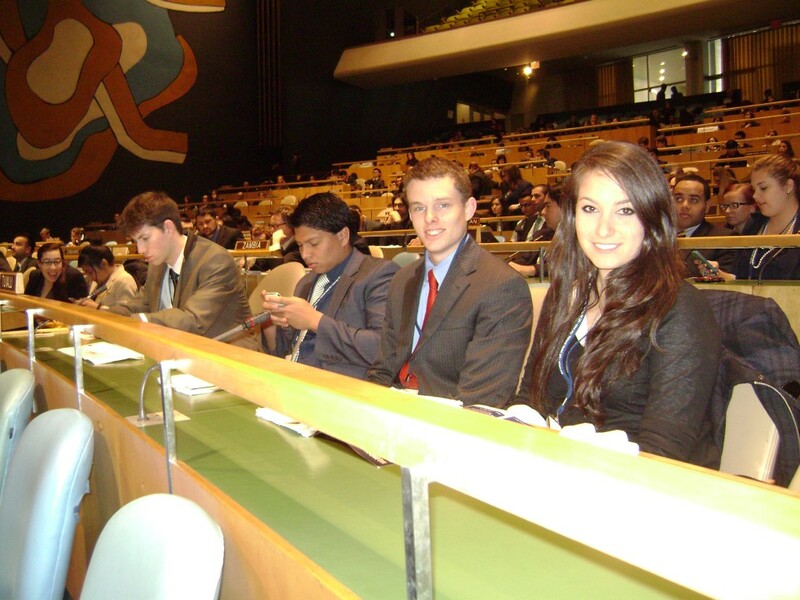 The UCA delegates included Brittaney Williams (World Food Programme, Spain), Helena Burrow (Commission on the Status of Women, Spain), Juan Mayen & Lorenzo Bridgewater (Economic & Social Council, Spain), Katelyn Wilkins & Jesus Torres (1st Committee, Spain), Kate Lloyd (2nd Committee, Spain), Kayla Close (3rd Committee, Spain), Stephanie Gray (4th Committee, Spain), Jordan Kemp (1st Committee, Nigeria), Breanna Wilbanks (2nd Committee, Nigeria), Mallory Walker (3rd Committee, Nigeria), and Logan Spurlock (4th Committee, Nigeria). 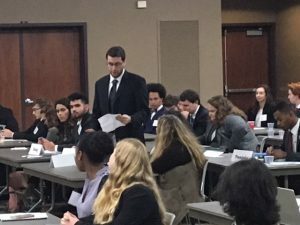 During the Closing Session on February 22nd, UCA’s delegation representing Spain was presented “Outstanding Delegation” awards for performance in the Plenary Session of the General Assembly and in the Plenary Session of the Economic & Social Council. 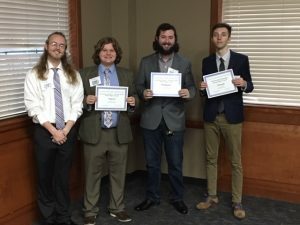 Five UCA students – Willis Arnold, Ecehan Bayrak, Joey Walsh, Logan Spurlock, and Juan Mayen – along with Dr. Mark Mullenbach and Dr. Gizachew Tiruneh from the Department of Political Science, participated in the National Model United Nations (NMUN) Conference at the New York Sheraton Hotel in New York City on March 17-21, 2013. 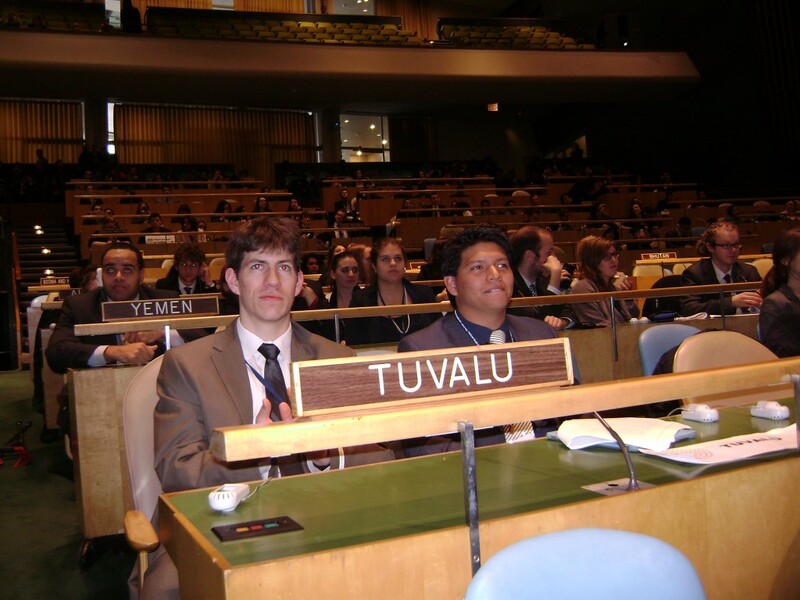 The UCA students, which represented the country of Tuvalu at the conference, participated in a simulation of the Plenary Session of the UN General Assembly at the UN Headquarters on Thursday, March 21st.